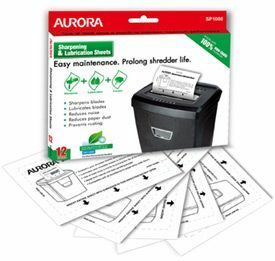 The Aurora AS1018CD is a cross cut paper shredder that will shred up to 10 sheets of paper at a time into 4.8x37mm pieces and if small paper clips or staples find their way into the shredder it will shred these to. It will also shred one credit card or destroy one CD at a time. It has a 20L waste bin with a large viewing window to show when it is getting full. Emptying the waste bin is made easy by the integrated carry handle allowing for easy removal of the waste bin. 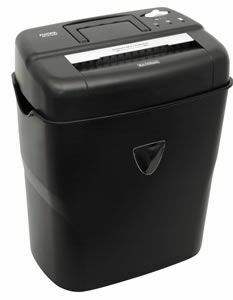 The AS1018CD is an ideal shredder for the home or small office, it is very user friendly and robust enough to cope with a variety of shredding tasks.